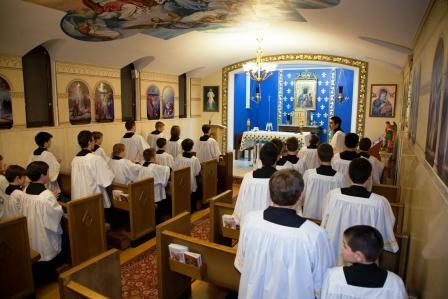 Our Traditional Latin Mass servers pray in the St. Hedwig Chapel before the Solemn High Pontifical Mass on Nov. 27, 2012. 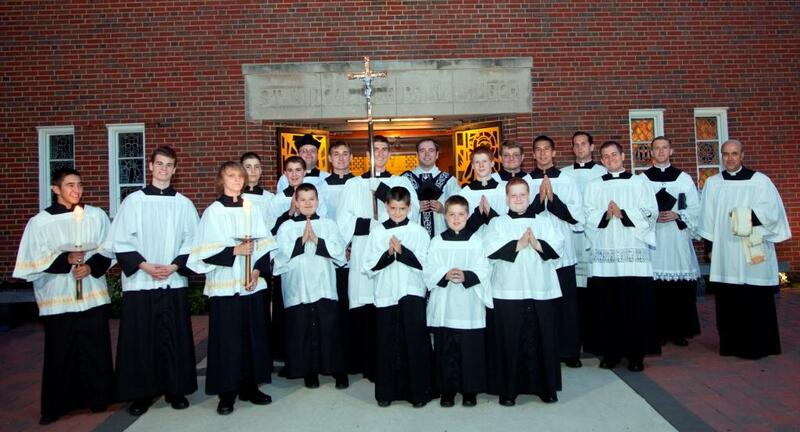 Join the fastest-growing altar server team in the area! As of September, 2017 there are 51 young men in training or serving on this hard-working and dedicated team. 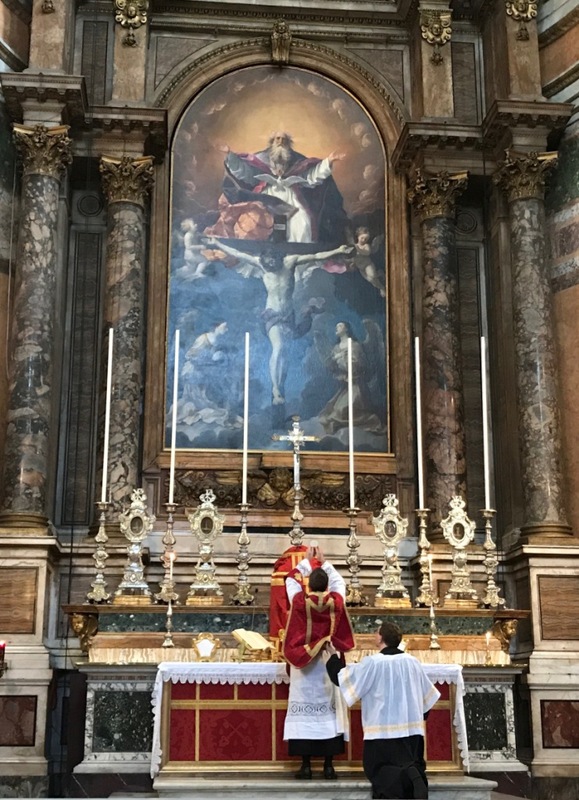 Serving at a Traditional Latin Mass requires focus, discipline, reverence and significant practice. 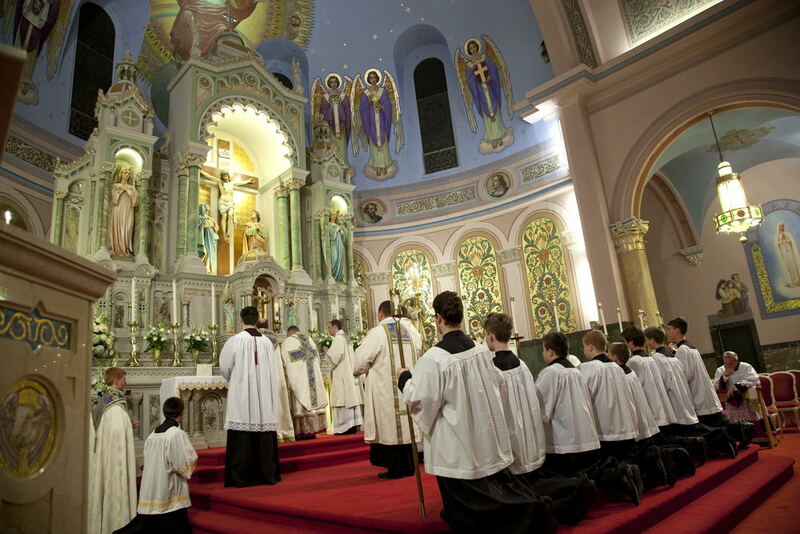 Intensive practices are scheduled monthly on Friday evenings at the Church of Saint John the Baptist in Allentown, NJ. Server positions are separated into Junior, Senior, and Master of Ceremony 1 and Master of Ceremony 2 ranks, and positions are earned based upon training and experience. This team is often invited to serve at special Masses and events throughout the Diocese of Trenton. The Altar Servers have been inducted into the Archconfraternity of St. Stephen, and are awarded with yearly rank designations. 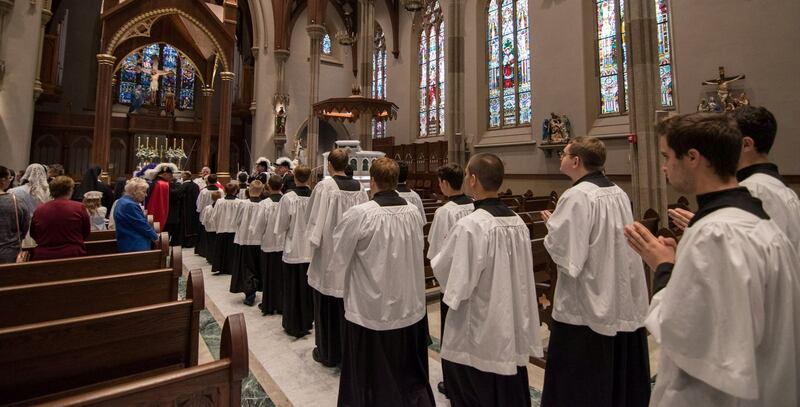 Inductions for new servers and renewal of the Archconfraternity membership occur the first Sunday in June. 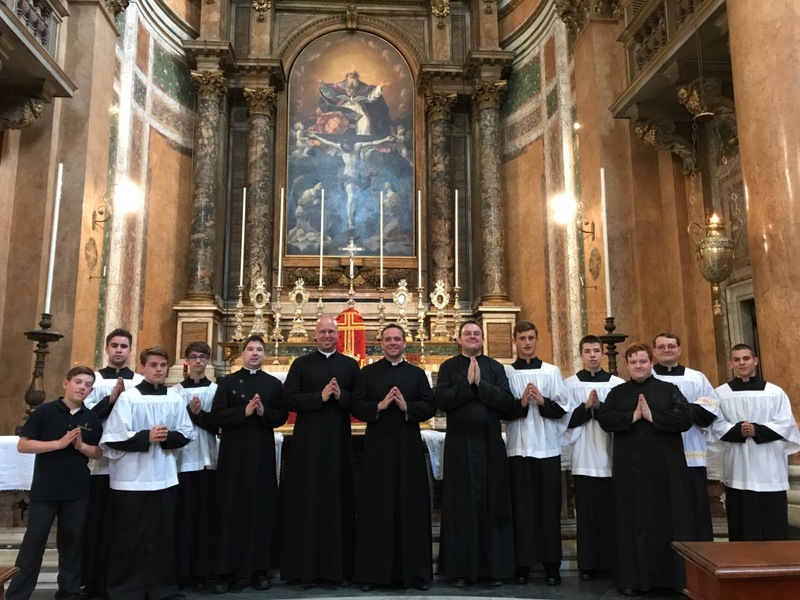 In June, 2017 our Masters of Ceremonies and their families traveled to Rome on a special pilgrimage that was coordinated by Rev. Brian Woodrow. Click the link below to read about their journey in a special article in August 7, 2017 edition of The Trenton Monitor .